A key feature of the current - Xbox One / PS4 - generation of game systems is that you can install every game into the hard drive. Unfortunately, since the games all come on Blu Ray discs, plus have massive updates and DLC's, a single game can take up 40-60+ GB of the tiny 500GB internal HDD (of which less than 400GB is actually useful to you). This means you run out of space really quickly. Luckily for us, we have options. It means spending a little more money, but you'll be thankful for it in the long run. On PS4, you can easily swap the internal hard drive. On Xbox One, you can't swap the hard drive for a new one, but you can do something even better - use an additional external hard drive. This means you get to use the 500GB internal drive, plus up to two additional external USB HDDs with many terabytes of storage to hold all of your games. The PS4, just for the record, doesn't allow you to install games to external HDDs. You have a wide range of options for external HDDs on the Xbox One. You can use any HDD that is 1) USB 3.0, 2) at least 256GB, 3) at least 5400rpm. From there, any brand and any size are up to you. Faster read speeds and higher capacity cost more, of course. Solid state drives can offer the best performance but cost more. You can get a decent 5400rpm 1TB external USB 3.0 HDD for around $60. We use a Toshiba 1TB HDD and haven't had any problems. 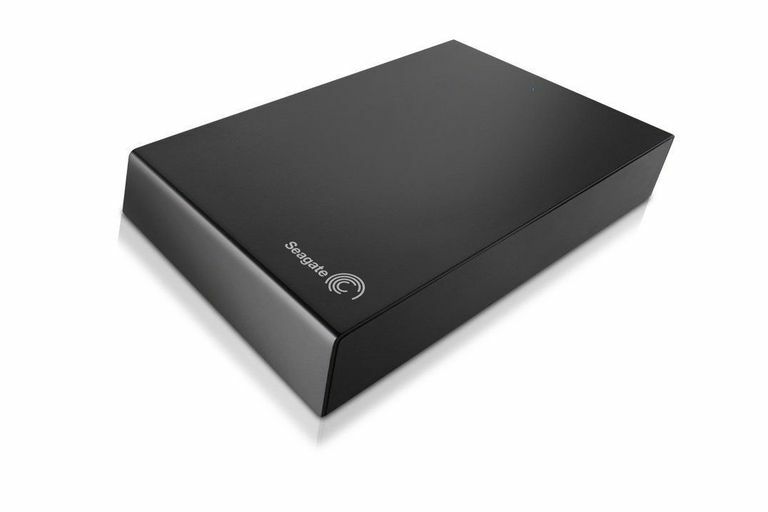 Microsoft has recommended drives from Seagate like a 2TB drive. Any drive that meets the requirements will work, though. Using an external HDD is surprisingly simple. They are USB-powered, so no need to plug them into an A/C outlet or anything. Just plug the USB cable into the USB port on the back of your Xbox One, and you're good to go. You'll need to format the drive before you can use it for games, but the Xbox ONE will do that for you. The drives are usually very small, so just tuck them somewhere out of the way (but try to give them plenty of ventilation as they can get hot). Here is something interesting about using an external HDD on Xbox One - it can actually load games faster than the internal drive because it can transfer data quicker. Simply put, the same 5400rpm speed that the internal drive uses, you will actually load games a little faster from an external drive. Opt for a 7200rpm external drive or a solid state drive, and games can load even quicker. We're talking many seconds of faster load times. Do You Really Need an External HDD? While there are definite benefits to using an external HDD with your Xbox One, don't misunderstand and think it is a necessity or requirement or anything. Consider what games you're going to be playing, and how many, and decide from there if you need an external drive. We never would have made it through the first two years of the Xbox One's life without an external drive, but most people aren't going to be playing dozens of games in just a few months. Still, you'll fill up the internal HDD just with Games with Gold titles after a while, so looking into an external HDD isn't a bad idea. You can certainly get by with the 500GB internal drive by deleting old games and reinstalling them when you want to play them, but if you have to redownload large games it can be a real pain depending on your Internet speed.